Mostly clear. Low around 60F. Winds light and variable..
LOS ANGELES (AP) — Three Los Angeles Times reporters won a Pulitzer Prize on Monday for their coverage of a gynecologist now accused of abusing hundreds of students at the University of Southern California. Harriet Ryan, Matt Hamilton and Paul Pringle won the prize for investigative reporting for their ongoing series about Dr. George Tyndall, which started with an anonymous tip Ryan received. In the wake of the stories, the university's president resigned, the Los Angeles Police Department launched an investigation and more than 650 women sued USC, alleging the school failed to protect them from sexual abuse. Tyndall has denied the allegations. Videos posted by their colleagues show the newsroom erupting into cheers when Ryan, Hamilton and Pringle's win was announced live in New York as they watched from the Times' new office in the Los Angeles suburb of El Segundo. 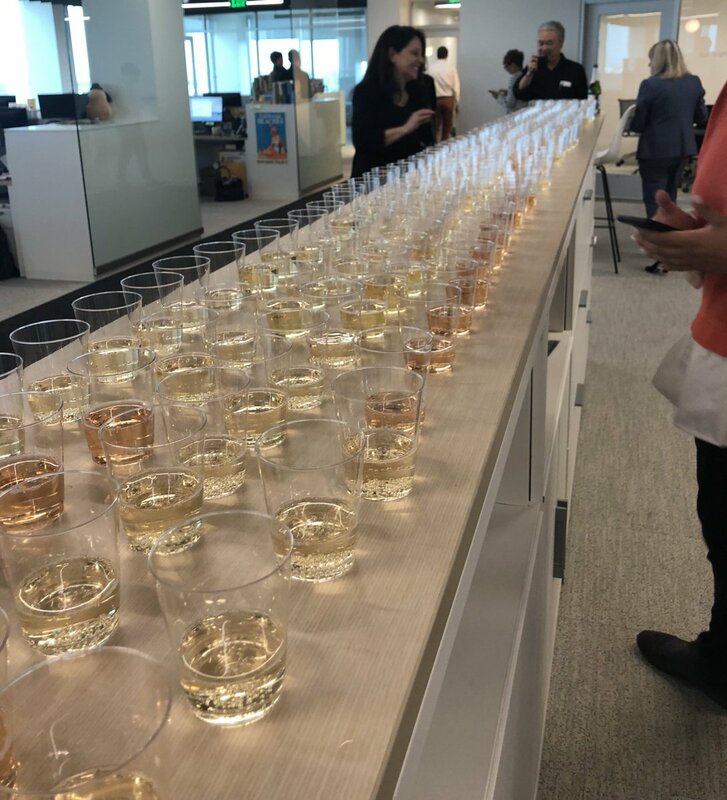 The newsroom celebrated with plastic cups of champagne.